How to Make You Event Tent More Functional? 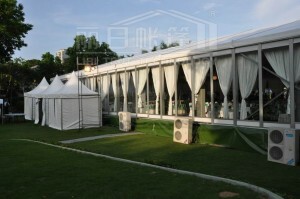 Home / event marquee / How to Make You Event Tent More Functional? Do you want to make your event tent more functional, but just use the simple thing and easy way? 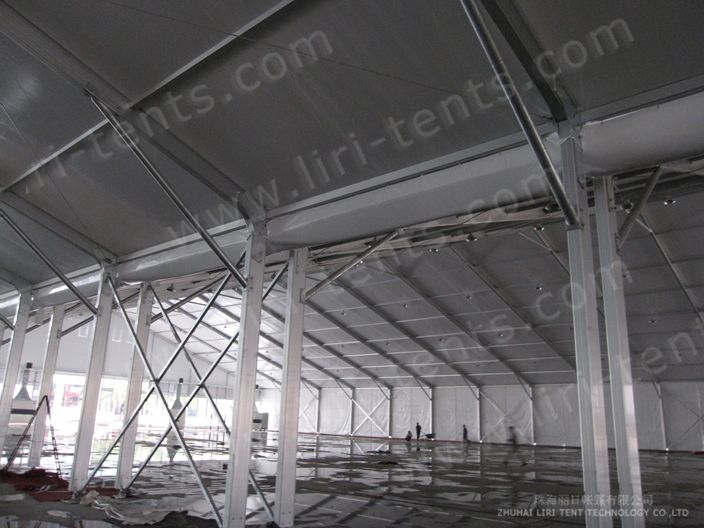 Liri Tent can provide you a solution.Our innovation, Pagoda Tent can fulfill all your needs. The pagoda tent can be use as a single unit or combined to enlarge space and become a special structure style with a rain gutter. It is easy to install and dismantle, no machinery required. 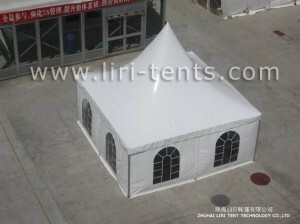 The pagoda tent is available in 3*3m, 4*4m, 5*5m, 6*6m, 8*8m, 10*10m and the windload capability is 80km/h. If you even want smaller one, no problem,we have another kind called mini pagoda tent which is available in 2*2m, 2.5*2.5m, 3*3 m. It is lighter and easier to carry. There is a range of accessaries for choosing, PVC window sidewalls, rain gutter, lining and curtain.